Meet Paris! Paris a small, but mighty pup looking for her new fur-ever home! Paris loves to give lots of kisses and snuggle with her humans! She is a mild-mannered girl and fairly calm for a young puppy. Paris is a very smart girl and is always into learning something new. 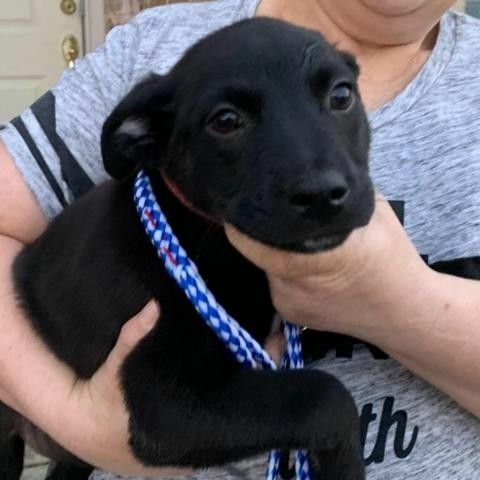 Paris would make a great companion for any loving family, but some patience and training will be required since she is still working on potty and crate training, as well as walking on a leash. She is good with other pups but hasn't been around cats or kids just yet. Would you like to get to know precious Paris? Apply to adopt her today! All Dallas Pets Alive adoptable pets are spayed or neutered, microchipped, and up to date on vaccines upon adoption. The standard minimum donation for dogs over six months to seven years is $200, puppies under six months is $250, dogs eight years and over are $100 unless specified otherwise. You can view all the adoptable pets and fill out an adoption application online on our website at http://dallaspetsalive.org/adopt/adoptable-dogs/ . For more information, you can email adopt@dallaspetsalive.org.